A topic discussed relentlessly here over the past year has been how overvalued the U.S. stock and bond markets are relative to the rest of the world (specifically emerging markets). 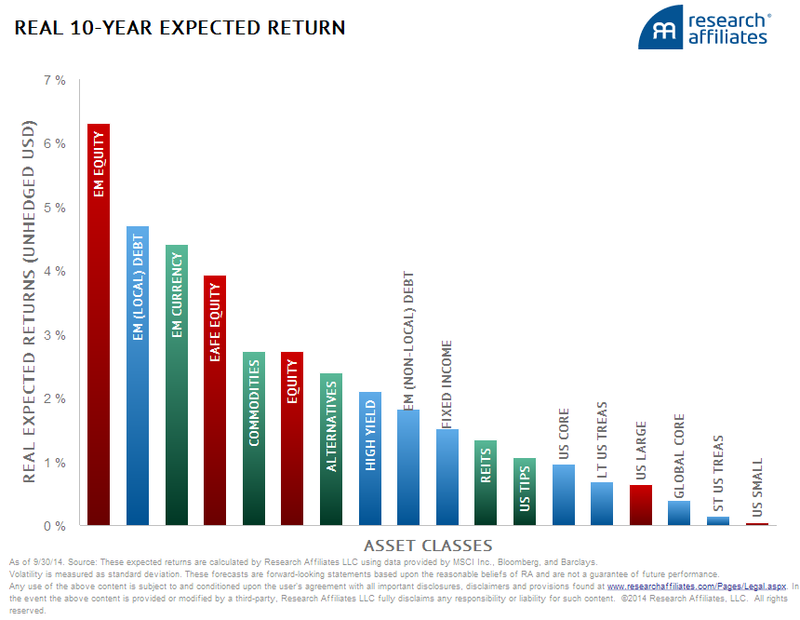 The chart below from Research Affiliates shows the expected returns for specific asset classes in the years ahead. While emerging market stocks are shown to have the highest positive expected return, they also come with greater expected volatility (meaning prices could drop sharply in the short term). You can see the dismal expected returns for U.S. stocks and bonds in the years ahead (far right). To play with their interactive graphs and review how their expected returns were generated click here. 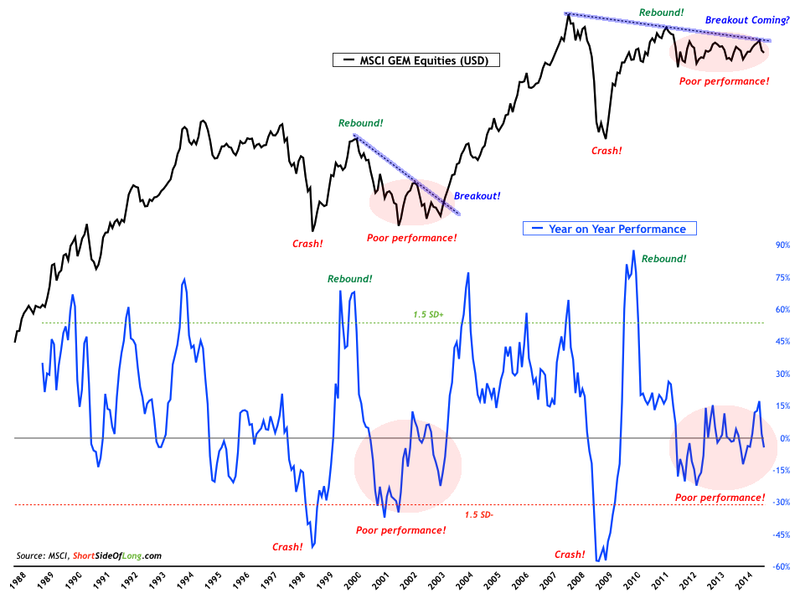 The following chart helps illustrate why emerging market stocks represent a better current value. While U.S. stocks have risen parabolically for 3 years running, emerging market stocks have stagnated and essentially tracked downward during that period.